You are sure to love this beautiful home on a private, 5 acre wooded lot ideally located on a quiet dead end road. Home has been very well maintained and has several recent updates including new Pine, raised-panel doors upstairs, new shingles, new deck. Property abuts 30 acres of County Land with small private lake. 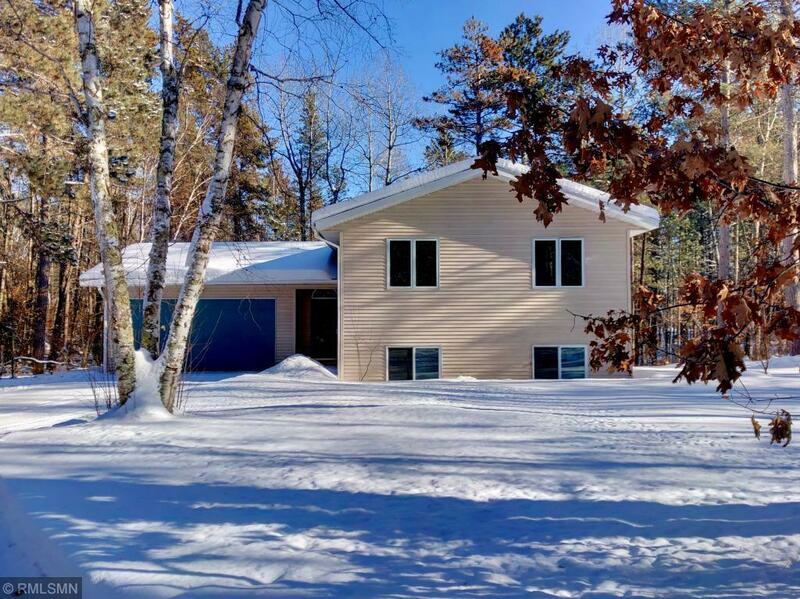 Enjoy nearby trails, Upgaard Wildlife Management Area and numerous fishing lakes. Huge deck overlooks back yard and extensive play area for the kids. A must see!